Rototillers are great to get the earth ready for planting that garden that your neighbors talk about, or getting the lawn ready for seed. Ether way it is not convenient when it wont start or move. And the thougt of trying to get it in your vehicle and take it some where to be repaired is even worse! Just give us a call and we’ll come pick it up! Whether replacing a belt or doing a full tune-up, we’ll make sure your tiller is always working as it should. Free Pick up and Delivery (In the City of Traverse City check our Pick up & Delivery fees page for outside the City of Traverse City) Or Just CLICK HERE. 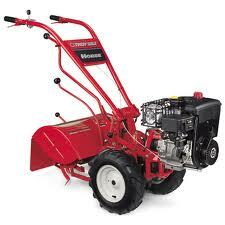 Rototiller Tune-up $65.00 + pick up & delivery, parts and tax that are not listed below in this package!